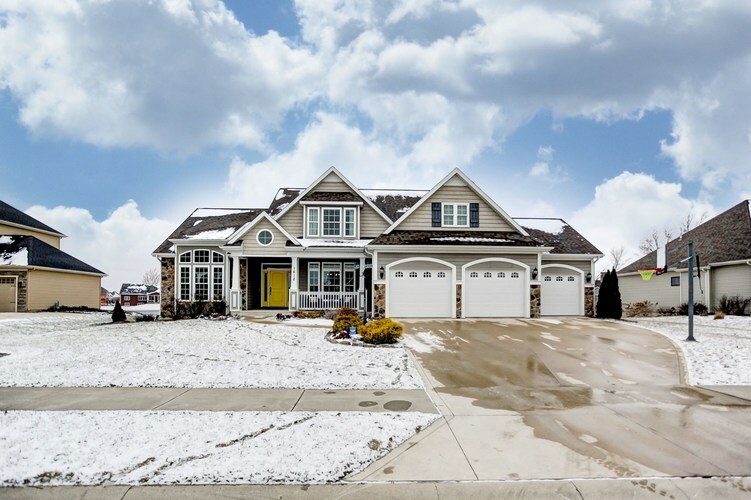 OPEN HOUSE, sunday 1/20/19, 1:00-3:300p! This custom built Craftsman style home sits on a beautiful pond lot in coveted Bridgewater. Features include first floor master with large en suite and walk in closet, custom cabinets in the large kitchen, fireplace in the living room, and much more! With over 2200 sqft, the open floor plan is great for hosting family and friends. The basement pulls out all the stops with its built in entertainment system, bar, rec room, full bath and extra room that could be used for anything. The large back deck is perfect for relaxing while looking over the spacious yard and beautiful pond!